You can do a project on a horse's insides and bones - how they work. I did this at my science fair. It is about determining which hooves - front or back, collect the most dirt or mud. You clean the hooves, but put the mud in a sandwich bag and measure it. I hope this helps. This project is about how the horse moves - different gaits of a horse and how they vary within the different horse breeds, such as the Fox Trot, Tennessee walking, Cob, Icelandic, Thoroughbred, etc. It's also about how the horses conformation affects the way it moves (static and dynamic). Other horse breeds could include Lipizzaner, Andalusian, American Saddlebred, Standardbred, Arabian, etc. Which Breed is Faster or Prettiest? You could do an experiment and ask owners of different horse breeds (you don't have to do all of them you can just do a few) and see them run and see their speed with a radar gun or you can do kinda the same thing except you see which breed is the prettiest. Which Treats do Horses Respond to Best? My friend Chloe did this experiment one year at her stable with a couple different horses. She wanted to see which treats would the horses be more eager to work for. I thought it was a good idea for a project because it could help the owner find which treats to buy and what not to buy. Hope you like it! Which Grain is Better for Horses? You could compare the behavior of horses and humans. Observe the rankings in a herd and observe a group of friends and their ranks. For example, "Who's the herd/group leader? Who's his/her right hand man? Who's the one no one likes?" Look for things like that. What Types of Hay Do Horses Prefer? You could use different types of hay and see what your horses like better. Which Horse Products do Horses Most React To? You could take a little sample of hoof polish, stain sprays, anything that is advertised as THE BEST and see how it reacts to three types of liquid such as water, vinegar and soda pop. You could definitely take a video about your horse and then show it or pics about the part of the body or you could talk about the evolution of a horse (with lots of color... everyone loves color! Hope this helps! I would make a horse made out of clay and put the body parts together, but before I put it together I would put electrical charges through the hollow clay. You can buy horse paint which is perfectly safe for horses and make the legs look like zebra and the body purple also the tail and hair will be rainbow colors and add horse wings. Then you have your magical horses. A part of the horses body/organs is shown (picture) then you have to name what it is and then place it on a large horse picture where you think it must go. If both are correct you win! 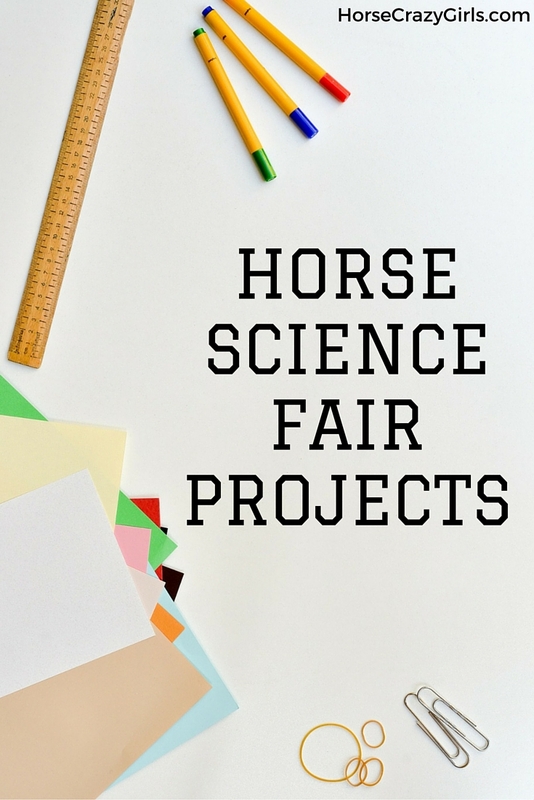 This horse science fair project is all about the horses’ senses - what they have and how it helps them. You could create a model of a horses body. where their bones are, how it works, and where the organs are. I think it would fun! You could ask a vet to help if you needed it. If you’ve done a project like this, please share. Make sure you can repeat your experiment. Often you must do the same procedure three times. Be sure you have time to complete it, and you won't run into problems like weather or your horse's mood, health, etc. Be safe! Always treat your horse with respect and love - but hey, you do that anyway, right?